You love beer and you're probably well aware that Portland is serious when it comes to brewing (among other things). Our craft brewing scene is the best in the nation and we want to show you why! See how we do it on our 3-hour 8.5 mellow-mile NE Portland UNBEATABLE BREWS BIKE TOUR through Portland's Alberta, Woodlawn, Overlook, Albina, and Eliot neighborhoods. We'll ride by and point out 4 more breweries as well as many other flavor makers that you MUST visit on your own. Learn the history of the Pacific NW's breweries and craft beer culture. PORTLAND CULTURE, the hip and the weird! This is the REAL PORTLANDIA. 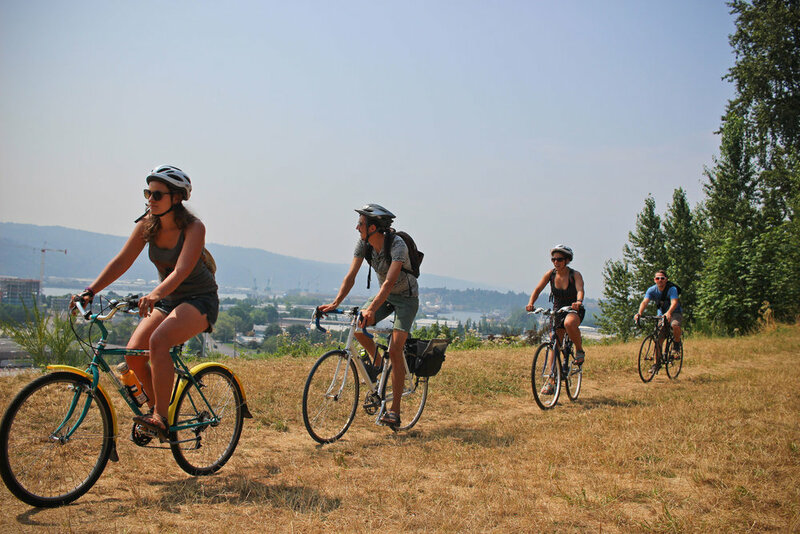 $59 - PRICE INCLUDES: 24hr bike rental, beverages, snacks, and fun + knowledgeable tour guide. Although we will do our best to accommodate walk-ins, RESERVATIONS are required by 5pm day before! Participants must be 21+, comfortable riding a bike, able to ride 10 miles, and feel comfortable riding on a safe route with occasional car presence. Ideally we’ll go about 10-12mph. The faster we ride, the more we get to see! Does this tour go downtown? Nope, we explore NE and N Portland, the fun part of town where we live and play. Downtown is a downtown, best traveled on foot. Do we end at the same location we started in? Yup! We end back at the shop where you can score a La Croix and a rad EBR shirt to impress your friends back home. Yes, if they showed you a great time, you’re welcome to tip them!